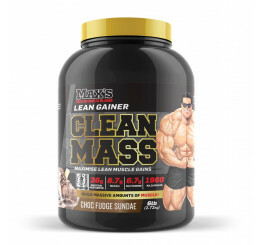 Max's Muscle Meal Cookies 90g taste so good – they can’t be good for you. But they are! 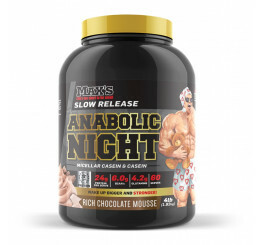 They contain high quality proteins including Whey Protein Isolate, Whey Protein Concentrate and Soy Protein Isolate, along with high energy carbs, essential fatty acids and added amino acids including BCAA’S and L-Glutamine. You can chow down a MAX’S Muscle Meal Cookie any time for a convenient and delicious muscle building snack. They also make a fantastic after workout meal to replenish energy reserves and help kick-start recovery and new muscle growth. 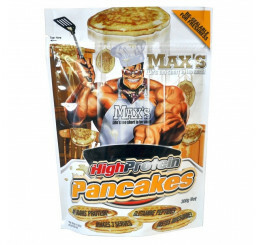 MAX’S Muscle Meal High Protein Cookies taste AWESOME! Glutamine peptides, L-Leucine, L-Isoleucine, L-Valine, Preservatives (202, 282). Cookies and Cream flavour is so good! Great alternative to a meal if you're always on the go and want something that will satisfy your hunger and provide a good hit of protein. These cookies are perfect for a semi-good but naughty cheat meal! Supershred cookies are also amazing! This tastes awesome. To be honest I have this as a drunken snack on the way home from the bar. But if you are looking for a healthy snack; the amount of fillers and trans fat destroys the health value. Every flavour is absolutely awesome and it seems to always satisfies my craving for when a have a sweet tooth. My hubby loves these as a treat every now and then. the flavour is great and the cookie isn't dry as like some protein cookies are.